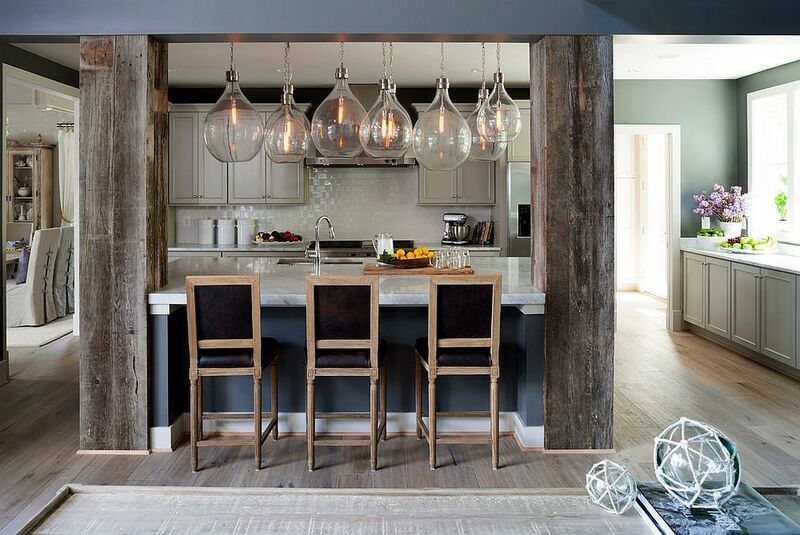 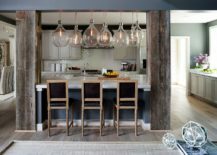 If you still have not heard about the reclaimed wood trend in home design, then it is time to come out of the rock you have been living under for the past few seasons! 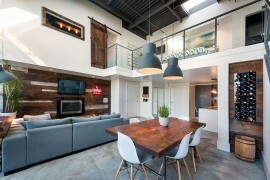 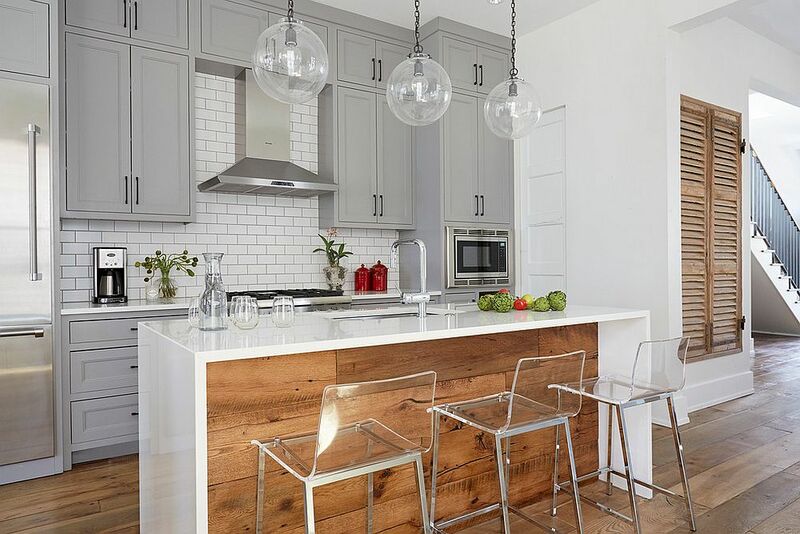 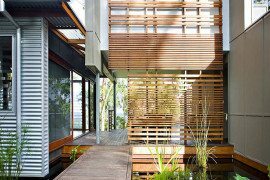 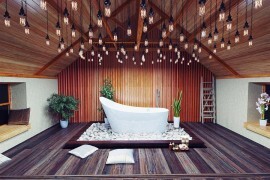 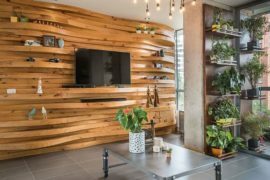 Reclaimed wood has become one of the hottest materials to try out in modern homes, and it is one trend that is only going to climb up the charts in the coming years with homeowners becoming more and more eco-conscious. 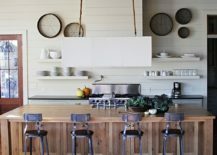 With that in mind, we take a look today at how you can add the warmth, elegance and unmatched uniqueness of reclaimed wood to your kitchen, even while incorporating it organically into a style and theme that you already have going. 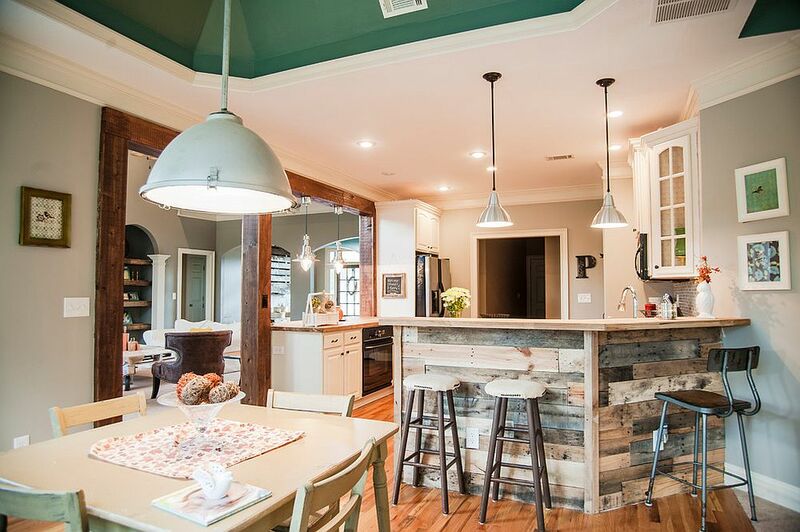 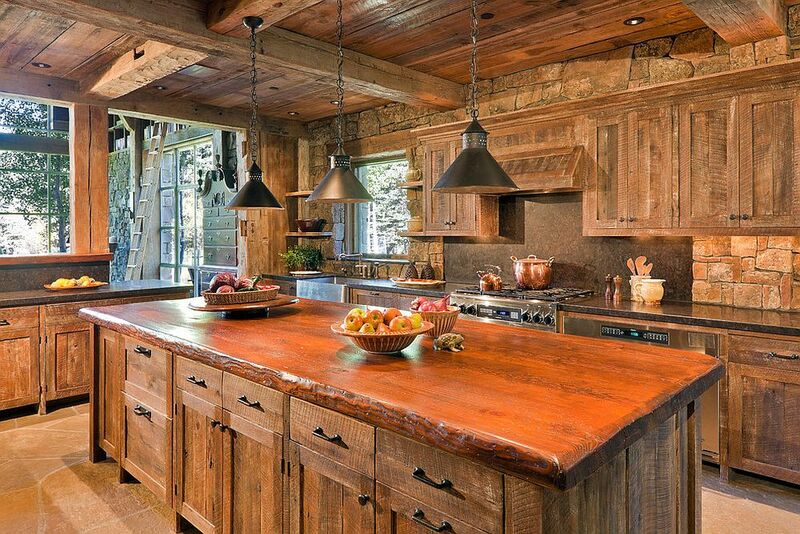 Adding reclaimed wood to the kitchen is all about finding out what works best in your own home. 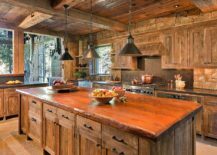 For some, reclaimed timber could spice up their kitchen counters, while others might just want to reimagine their kitchen island by tapping into its natural beauty. 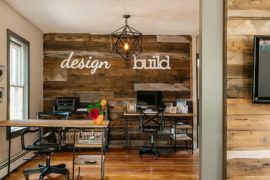 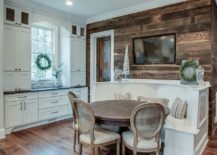 Whether you are a fan of the simple accent wall crafted from old wooden planks or prefer something more extravagant and exceptional in the form of a custom hood or floating shelves, reclaimed wood works pretty much everywhere. 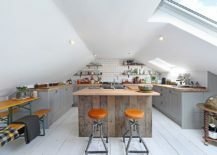 The kitchen island is increasingly becoming the focal point of the modern kitchen, and even small kitchens are being filled with tiny islands that multitask with ease. 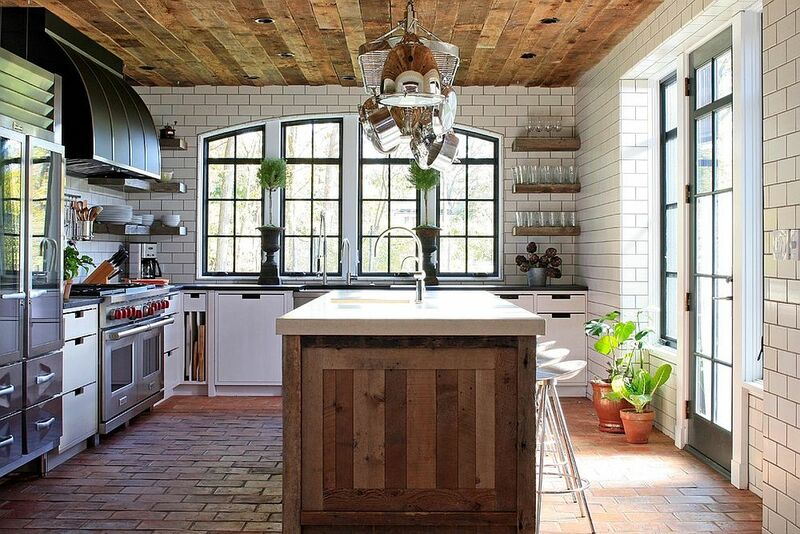 It is only apt then that it is the kitchen island that gets the first shot at embracing the charm of reclaimed wood! 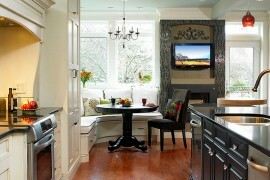 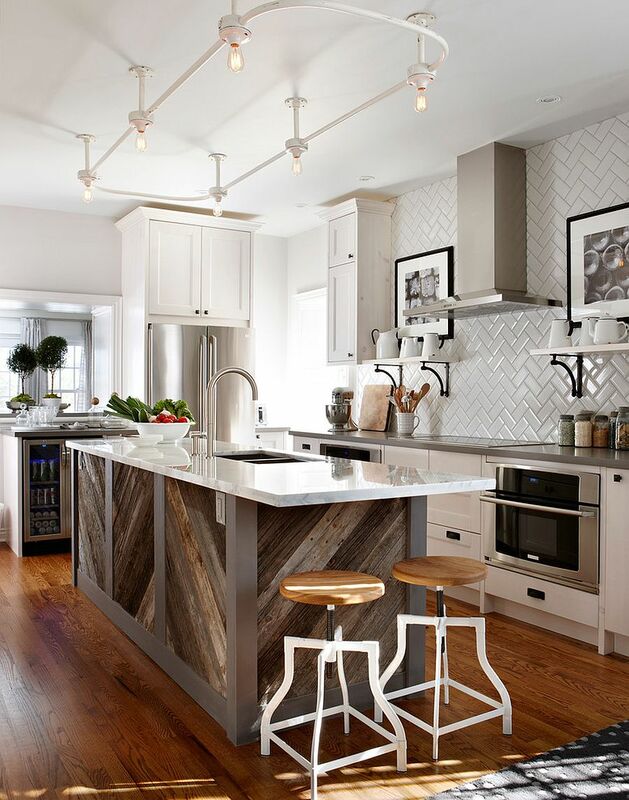 Covering the kitchen island with reclaimed wooden planks is a task that is both cost-effective and convenient. 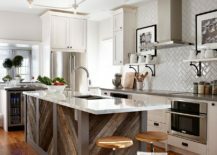 Instead of revamping the entire island or even creating a new one, just a new woodsy sheen for the existing island can completely transform the ambiance of the kitchen and give it an entirely new look. 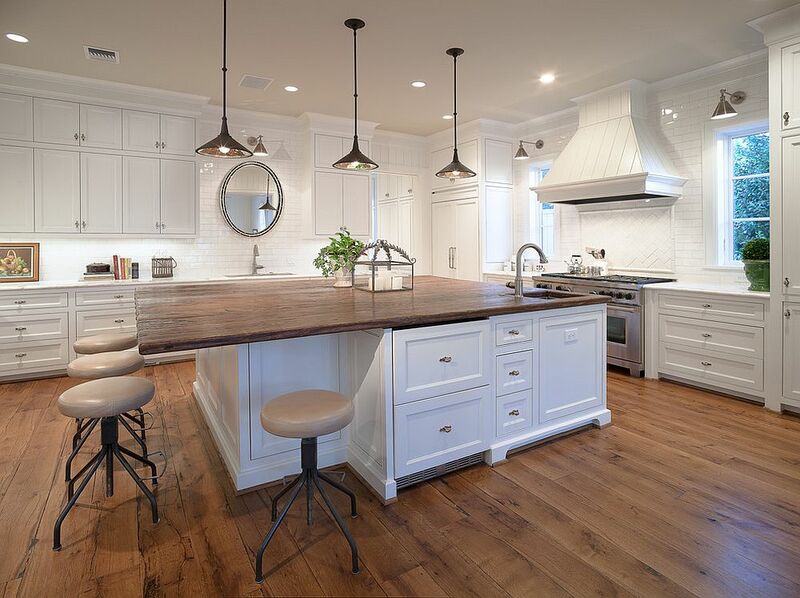 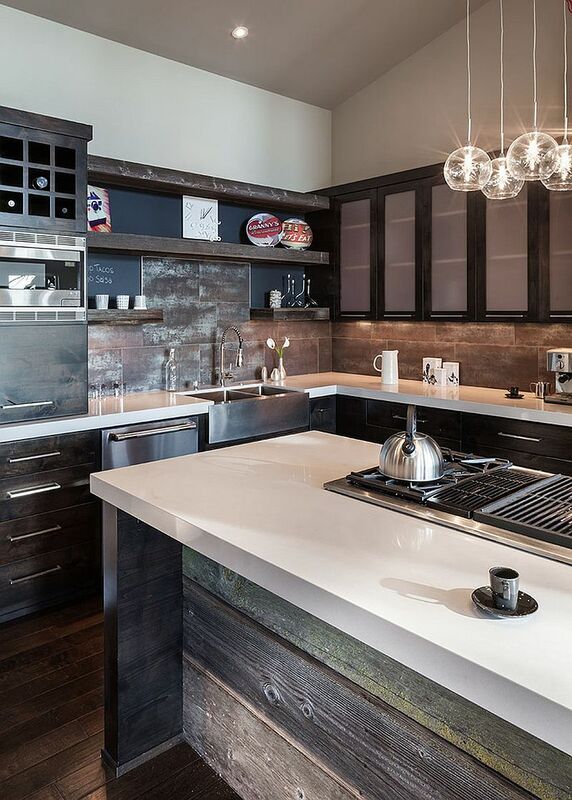 One of the advantages of reclaimed wood is the richness that it brings to even a brand new kitchen island. 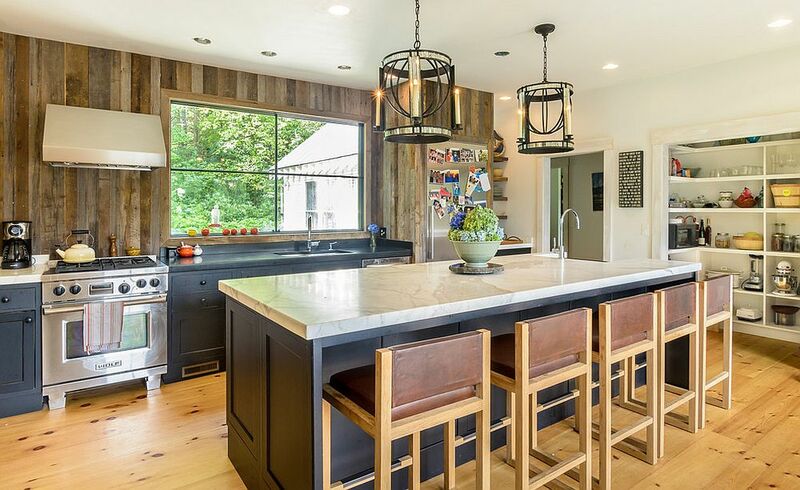 Thanks to all those cuts, nicks and dents collected over several decades, reclaimed and treated wooden planks give even a sparkly new kitchen an inviting, aged look, and with the right sealant, your exquisite new island will last for years to come! 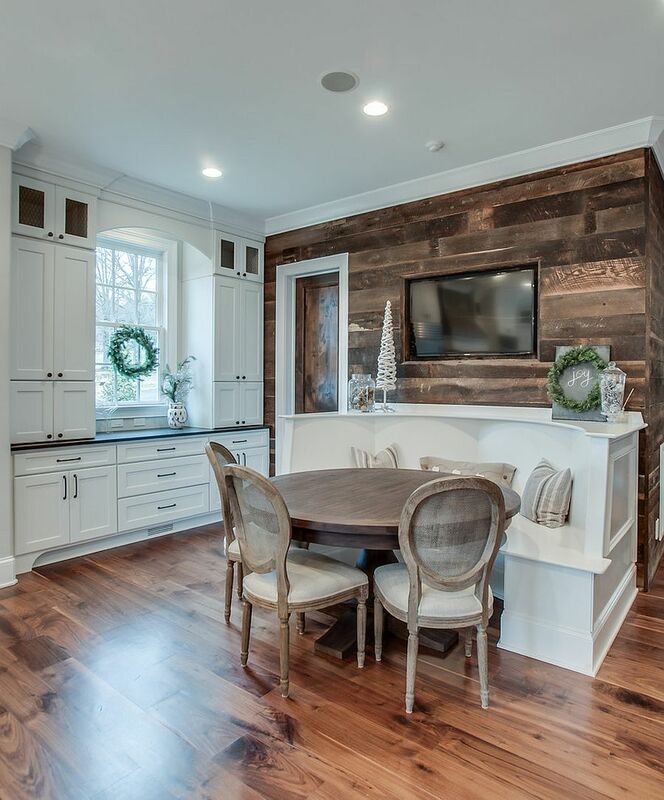 Any expert in the field will tell you that reclaimed wood gives you an opportunity to work with wood that is simply no longer available in stores. 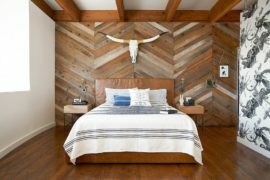 There are times when these wooden boards would have been acquired for barns and old structures built several decades ago, and that is wood that you just cannot buy off the shelf today. 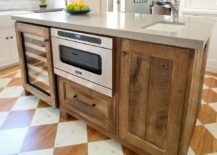 It has a much deeper and richer grain, and of course, the natural process of aging gives these planks an even more fabulous finish. 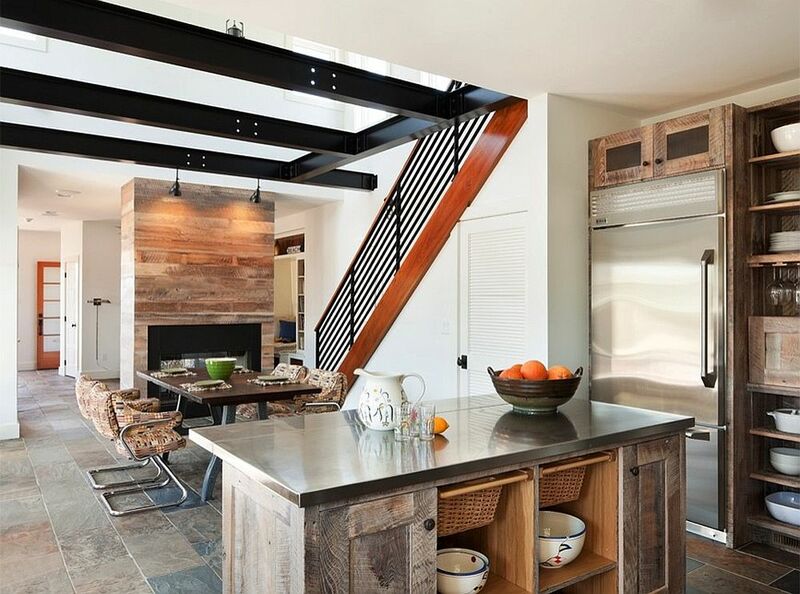 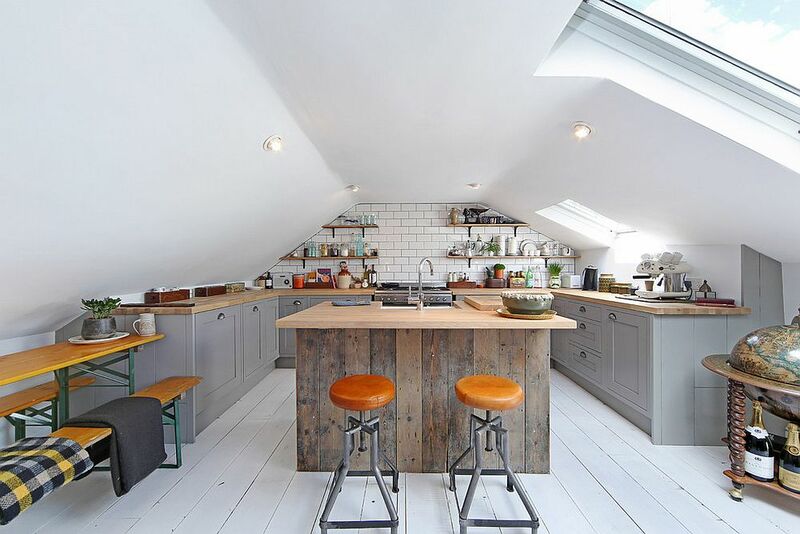 If giving the kitchen island a makeover is not on your agenda, then maybe you can give the ceiling or the walls a new look by covering them with reclaimed timber. 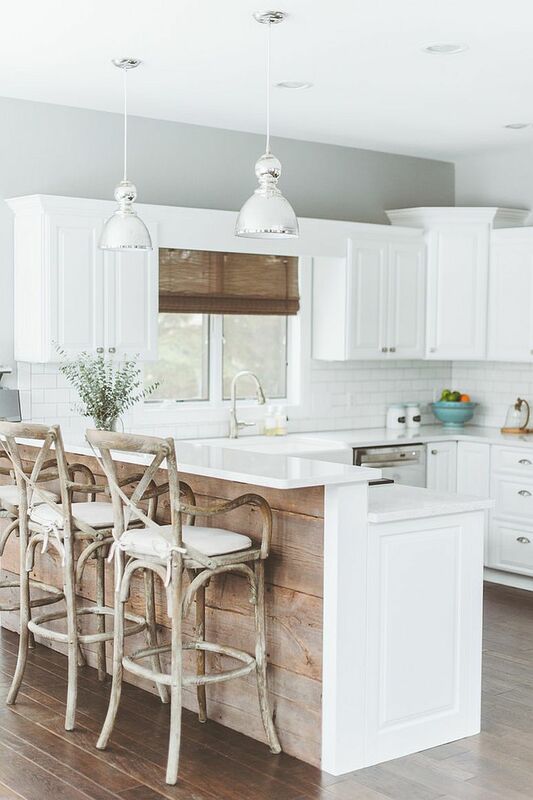 If you love styles such as coastal or want a beachy look for your kitchen, then reclaimed wood fits into this breezy picture with ease. 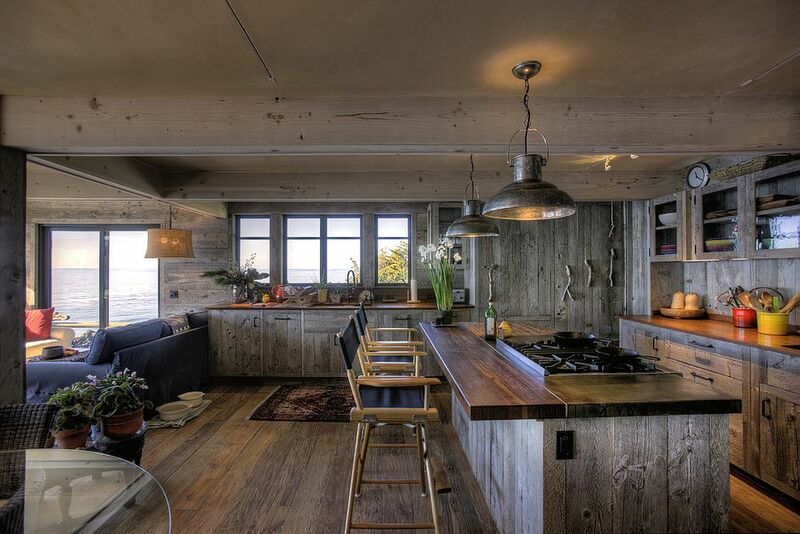 The old, distressed, and at times whitewashed finish of reclaimed timber planks adds to the beach style of the kitchen and ushers in textural contrast without moving away from the theme of the room or the color palette. 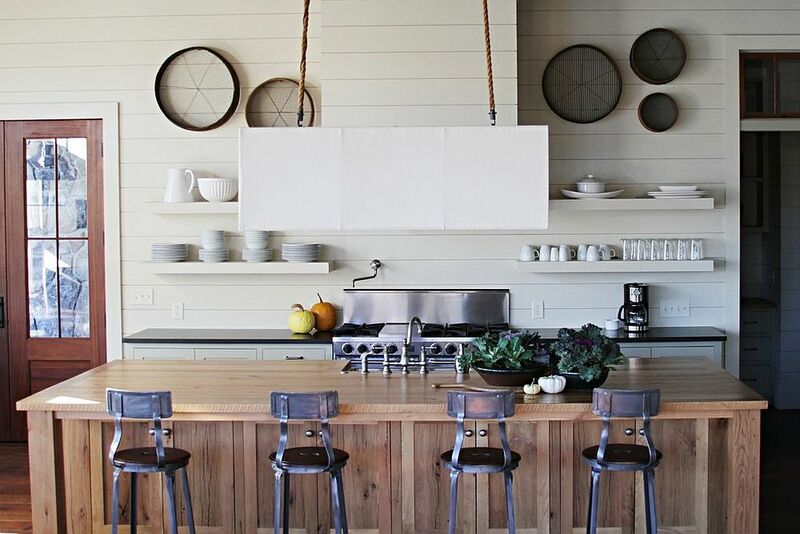 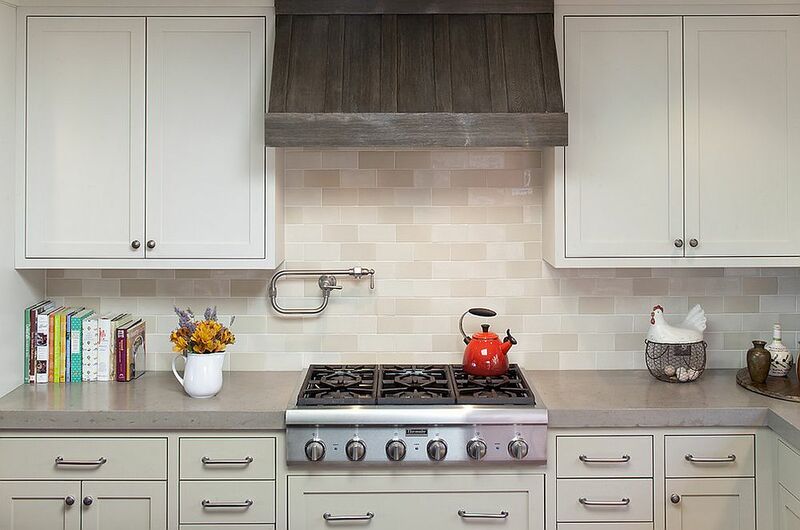 From a modern coastal look to one that combines farmhouse and beach styles, most kitchens inspired by a relaxing life on the beach can effortlessly accommodate reclaimed wood. 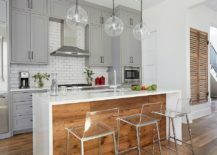 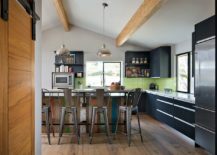 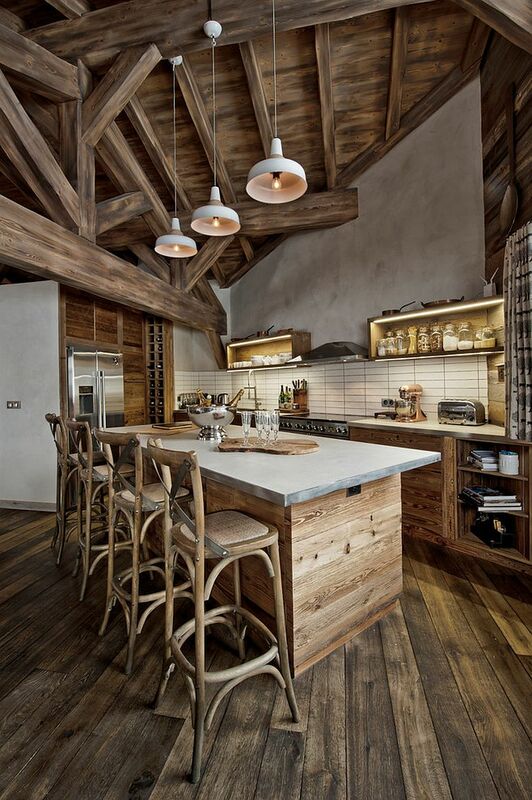 A smart and attractive little feature crafted from reclaimed wood does look great in modern and contemporary kitchens, but those wanting to welcome reclaimed timber in a more extensive fashion should look for styles beyond these. 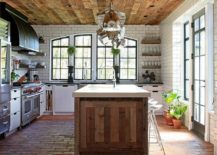 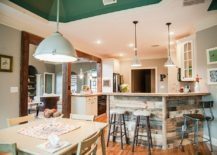 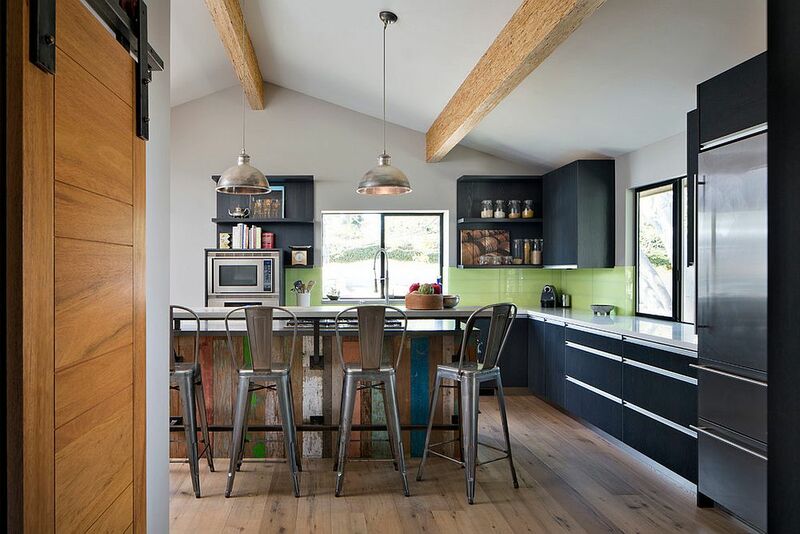 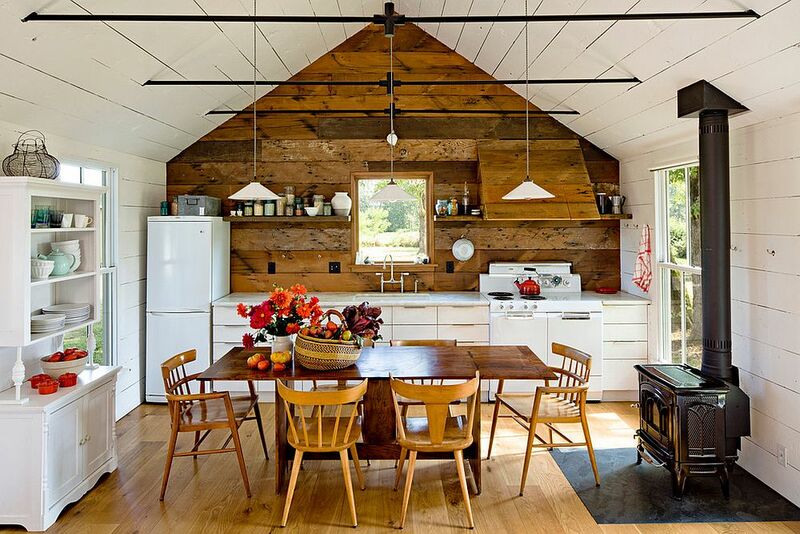 A farmhouse kitchen with a backsplash made from reclaimed wood or even a rustic kitchen where the ceiling, floor and shelves are crafted from old, salvaged wooden boards tend to also double as engaging and comfy family spaces. 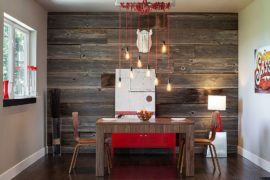 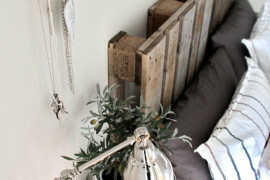 Be it an edgy industrial kitchen or even one with bohemian overtones, reclaimed wood finds space pretty much everywhere! 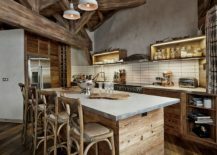 Elevating the green credentials of your kitchen and doing so without the dazzle of modern technology, reclaimed wood is for those who love the planet – in every sense of the way!